Cool Bank Removable Creative 3D Wall Decals for Kids room Wall Decorations! 2. It can be applied to any smooth , clean and dry surface of walls, tiles, glass, furniture, etc., NOT suitable for dirty or rough surface. Easy To Remove & Reposition with no sticky residue Use for decorating Nurseries. questions please feel free to contact with us, we will reply to you within 24 hours. √ Just peel and stick，Sheet size: 11.8"* 23.6"，finish size as picture: 25.6"* 23.6". √ Best decorations decals for home offices and classroom. Best gift for your kids. √ Easy to Apply, Removable, Durable, Pressure Resistance, Shock Resistance, Moisture Resistance. √ Add decoration without paint. Bring so much love, happiness as well as compliments from your guests. √ LONG WARRANTY: 30 days Guarantee. Any quality issue, simple contact us to get money back. 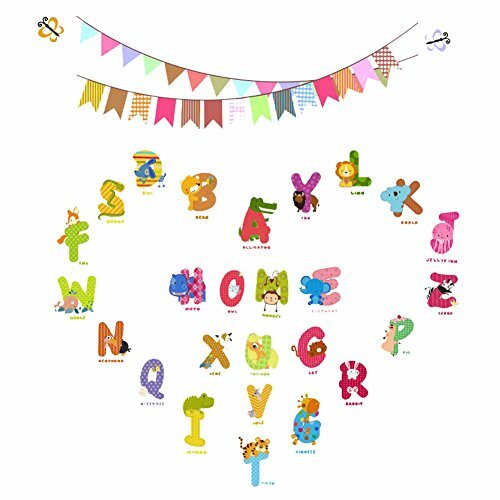 Great for Kids room Wall Decorations.